Avila's Pro Shop offers both 100% mohair cinches as well as neoprene cinches. 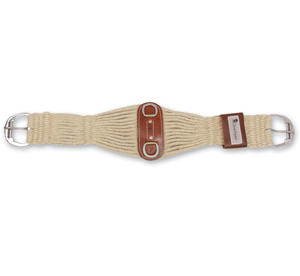 The most popular cinch is the 100% mohair roper cinch by Equibrand. This is the premier material for cinches. Mohair is a natural fiber sheared from Angora goats. It is naturally soft, very strong, and elastic. This makes for a comfortable, strong, and durable cinch. 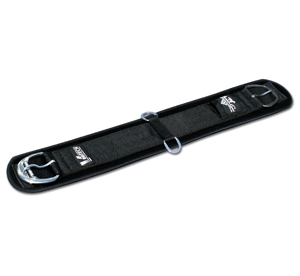 Avila's Pro Shop's most popular neoprene cinch is Professional Choice's SMX Ventech western cinch. This is a ventilated neoprene that breathes. 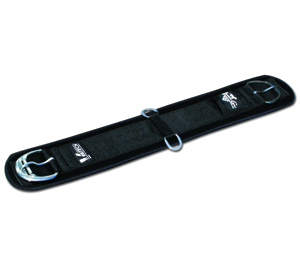 It allows heat and moisture to escape and keeps your horse cool, comfortable, and performing at it's best.